As a global consultancy, Cogs are aware that having a presence in different countries opens up the doors to a world of new talent and opportunity. For a long time we have placed talent across locations in Europe, with Cogs Berlin covering Germany and surrounding areas but to ensure our clients and candidates receive the very best service, we have a dedicated department headed up by Laurence Levy, Head of Practice, covering France, Switzerland and Italy. She has a brilliant understanding of the industry landscape across France and a broad knowledge of everything from client services, strategy, PR to creative talent markets. 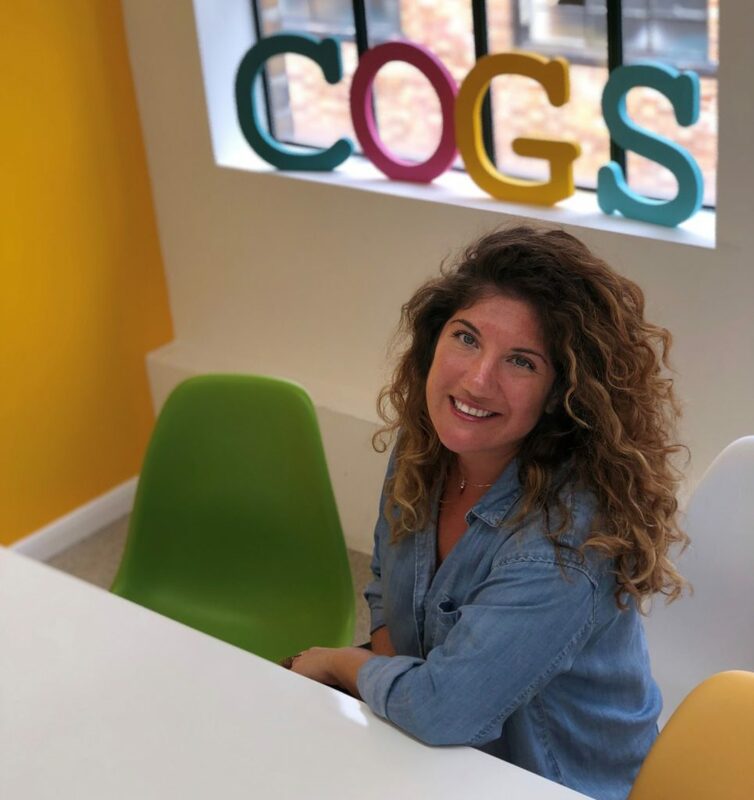 She has developed strong relationships with leading clients and agencies across Europe and has built up a far-reaching network of talented candidates. What has your own recruitment journey looked like? My recruitment journey started six years ago in France in a large Executive Search firm which covered a wide variety of sectors. I assisted with the expansion of a desk into the comms market and this is when my passion for this area grew. From there, I went to work in Shanghai within an event agency where I was in charge of PR and new business for their top clients. I enjoyed my time there but I was missing the buzz of recruitment. A year on, I was approached by an independent Executive Search boutique in London who were looking for a multilingual person to work across global communications. I stayed on for four years. I started as a Headhunter and rose to the position of Managing Consultant focussing on the French market and subsequently opening their European division. Last year, I noticed that Cogs was looking to build up a solid French desk and also expand themselves to other European markets such as Switzerland, Belgium, Italy. Without a second thought, I jumped at the opportunity! Over the years, I got the chance to be trusted enough by clients and candidates to broaden my markets and expertise, placing talent in Paris, Madrid, Brussels, Milan, Berlin and recently New York City! What have you found to be the best way to grow your network across Europe? I know it can sound a bit ‘old school’ but for me, there is nothing better than simply chatting to candidates and clients. What do they like in their job? How did they start? What are the best companies to work for? What would be their dream job? What the markets look like and how do they see the evolution in Comms? This may appear as a basic line of questioning but it is so important to understand their industry and mostly what motivates them as individuals. How to do you stay ahead of the evolving market trends? In addition to talking with people from the industry, I read a lot as well. There are some great magazines, websites and blogs that I read regularly, and I also subscribe to newsletters. It is so important to know what’s happening in the market you are working in. I chat with my colleagues who work in different markets and we compare insights. I also try to attend big events as much as I can, the Design-Advertising-PR-Corporate-Digital awards are great for connecting to the best talent! Last year I went to the Cannes Lions where I met people from all over the world and all industries. I feel honoured when clients refer to me as their first priority when they are looking to fill their senior and strategic roles. I feel privileged and trusted when they introduce me to their own clients, or offices abroad or to other teams. I really love a challenge! So the more difficult the role the better. For example, recently, an important advertising agency specialising in luxury contacted me as they thought my expertise could be useful for their client based in NYC (a Swiss luxury jewellery brand) who were struggling for months to look for the right fit. I helped them to find an amazing Digital Director very quickly and I now work with them in the US and Switzerland. I’ve been working for a global communications agency whose Milan office has personally reached me for help. I’ve placed two great Account Managers there who were both looking for a new challenge within an international integrated agency. They’re so happy and so am I. The same thing happened with a UK client who briefed me on roles for Berlin, Brussels, and Madrid. What do you find most challenging about recruiting across a variety of countries? I really enjoy working across various markets though it can take a long time to build up a network and know everyone in the market. Also, you can’t approach the candidates the same way everywhere, I think you need to adapt your talent mapping and be aware of the cultural differences in each country. What is your top tip for winning new business? Make sure you understand your client’s company culture and needs – the rest will flow. This desk is growing from strength to strength with a host of huge clients recently coming onboard and placements being made across Europe. Laurence has also begun to grow the team with a new member starting this month and she will be looking for a Senior Consultant in early 2019. Her hard work and efforts are paying off and working within an autonomous agency like Cogs means there are no boundaries to what she might achieve in the future.